"Often referred to as the world's oldest apartment house, this pueblo is one of the most beautiful examples of pueblo architecture in existence today." 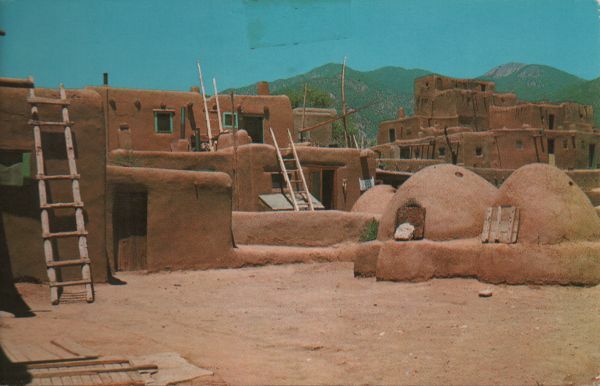 And now Taos Pueblo is a UNESCO World Heritage Site. A smaller size, vintage postcard, possibly dating from around 1960. "Shown here are famous Indian baking ovens. 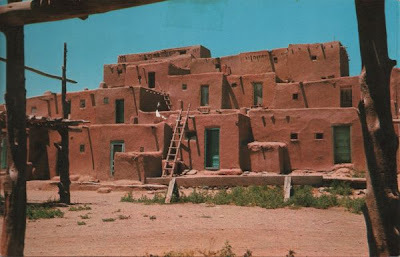 The ladders are used to go from one level to another of the multi-storied pueblo." Another vintage card of the same era as the previous one. 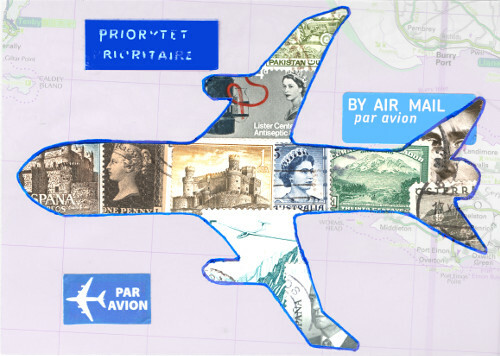 Both are Petley postcards. "A winter storm blankets Taos Pueblo." A modern card now, and one that I love because the snow is so unexpected. The red colour of the adobe makes me think of scorching deserts, not freezing temperatures. 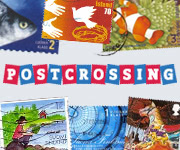 It's always a learning process, this postcard collection. 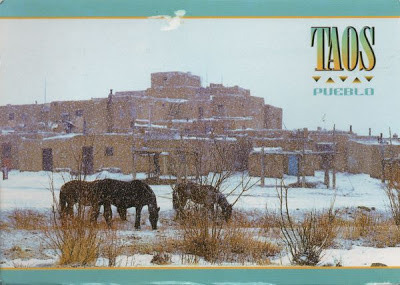 See also a previous card from Taos Pueblo. How good to see this. They thought of them much ahead of their times. I wonder if those ladders are used just during the construction time or was it a permanent fixture. The ladders are the door steps. Beautiful place isn't it. Funny how things seem to surface at the same time. 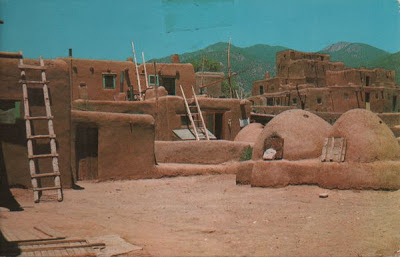 I just made a post of Taos also. I wonder if the Pueblo Indians had arthritis. I'm just thinking of myself trying to get up and down those ladders with my creaky knees.